When we moved to California in 1999, we understood that it was the land of fruits and nuts. At the time, New York was struggling with passing legislation that would ban smoking in public buildings and such. San Luis Obispo County was way out ahead of rest of the planet, having banned smoking not only in pubic buildings, but all buildings, all streets, and even the beaches. Basically speaking, unless you are in your house (without a minor present) – you are breaking the law by smoking. In January 2012, San Luis Obispo joined a number of othercounties in California in banning plastic bags in all retail stores. If you want a paper bag, you must pay for it. Bags are about $.05, so the cost is not a big deal – but the change has been amazing. Everyone keeps reusable bags in their trunk and hauls them into the store. It has taken a while for everyone to get used to it, but it is a largely harmless change of behavior that makes a huge difference to the environment. 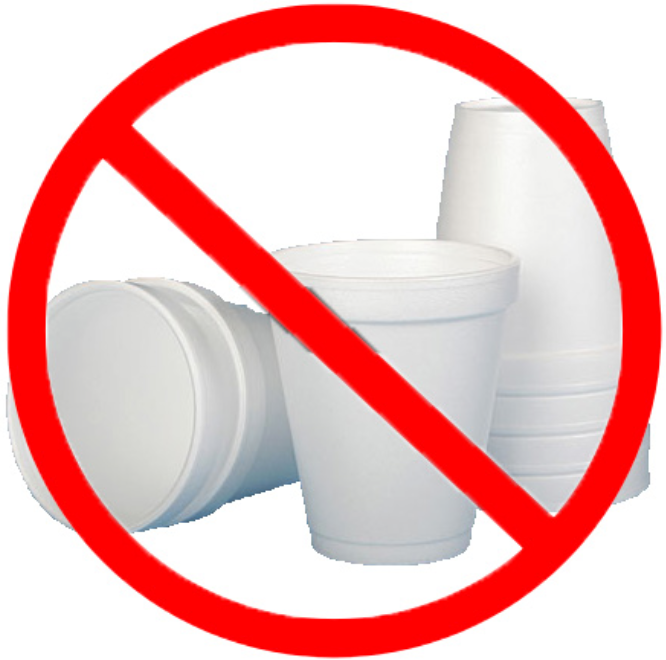 San Luis Obispo County is now on track to be the first city in America to ban Styrofoam. The technical term is EPS containers. If you get take-out food, or bring home leftovers from a restaurant – you know exactly what I am talking about. Moreover, EPS containers will not be allowed to be sold in any stores. San Luis Obispo has been progressive at using county regulations at creating change that is good for citizens and good for the environment. Although I am sure that there will be bumps in the road, eliminating Styrofoam is a pretty honorable stance to take as a community. I would be willing to wager that the costs of recyclable containers are higher and less effective than Styrofoam – but it seems like a small price to pay for the overwhelming benefit that generations will enjoy. Kudos to San Luis Obispo County for progress. As a libertarian-minded person, I am generally against government regulation. Hopefully this type of legislation will be similar to plastic bags. The laws are on the books but the county did not invest in enforcement or hire people to run around busting businesses that are breaking the law. Citizens police it and shame stores into compliance. The same is pretty much true for smoking. I have not seen any articles where anyone was fined for smoking - but smokers get the evil eye if they are breaking the law - and moms with kids in tow have been known to be pretty outspoken in helping tourists and others become aware of the law (I have not seen many signs).